Flip a coin. 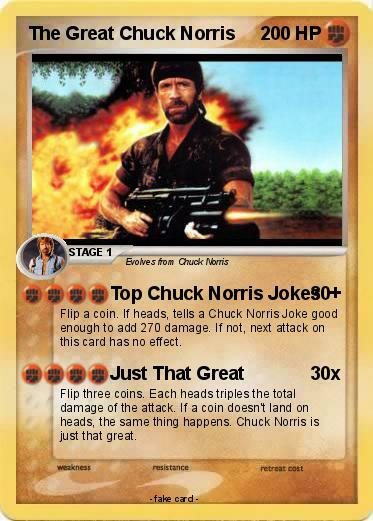 If heads, tells a Chuck Norris Joke good enough to add 270 damage. If not, next attack on this card has no effect. Flip three coins. Each heads triples the total damage of the attack. If a coin doesn't land on heads, the same thing happens. Chuck Norris is just that great.